CANCELED – January 11-13th – Beaumont Cabin camping; alternative visit to Klondike offered | "Building tomorrow’s leaders, today!" adult participation, a decision was made to cancel. 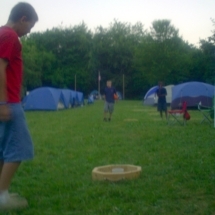 Camp Warren Levis to check out the annual Klondike event being held there. directly at 314/265-8360 (text message) by Friday noon. Thank you. to allow for meal and shopping planning. Thank you.